Architects are often maligned for exhibiting inflated egos. Rarely, however, do they have the chance to create inflatable architecture. That could change thanks to a course in New York City run by Jesse Seegers that aims to inform people about the potential of pneumatic and inflatable volumes and how to realize it. 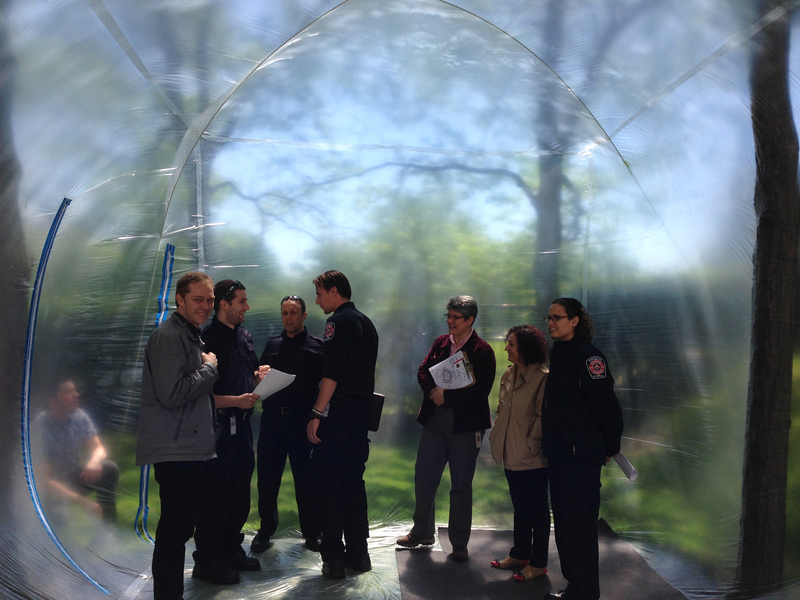 Starting on June 6 and taking place in the evening, Seegers will first allow people to experience inflatable spaces while teaching them about the history of the typology. Students will be able to experiment with different materials and techniques including heat welding, tape, and constraining the volumes with ropes and other means. Speaking of his motivation for running the course, Seegers spoke to AN and explained that his interest in inflatables stemmed from his architecture thesis at Princeton University. "Since the 2008 crisis, architecture has mainly become a unit, a means to transform one unit of currency into multiple units of currency," he said. In his thesis, Seegers argued that "During the financial crisis an equally devastating architectural crisis occurred, pulling the curtain away from the alignment of architecture and capitalism" and that architecture itself "has become a form of capitalism." Seegers added that architecture has a tendency to cater to long-term investment opportunities that guarantee return. Hence, structures are seen as commodities, "abdicating their claims to any cultural novelty or spatial experience," whereas inflatable structures, which lack conventional architecture's permanency are "divorced from the whims of capital." "Inflatables deny the normal structure that buildings perpetuate," Seegers continued. "So to have temporary structures that could pop up in a few minutes or a few hours and then go away...they're an excuse for social activities to go on and it's not about the return of investments of a long-term structure." 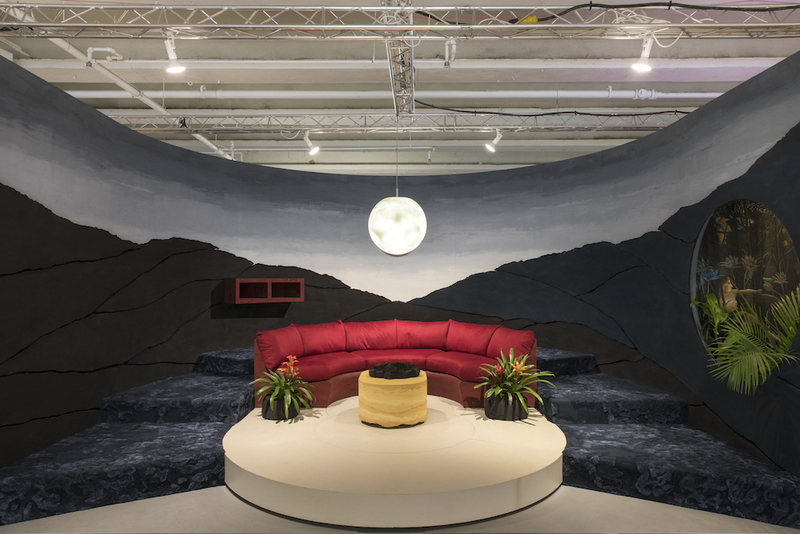 In 2014, his thesis took form, at the Potlach Pavilion in New York. Here, strangers were invited to bring gifts for other strangers, creating a socially active space, amplified in many respects by its temporal nature. 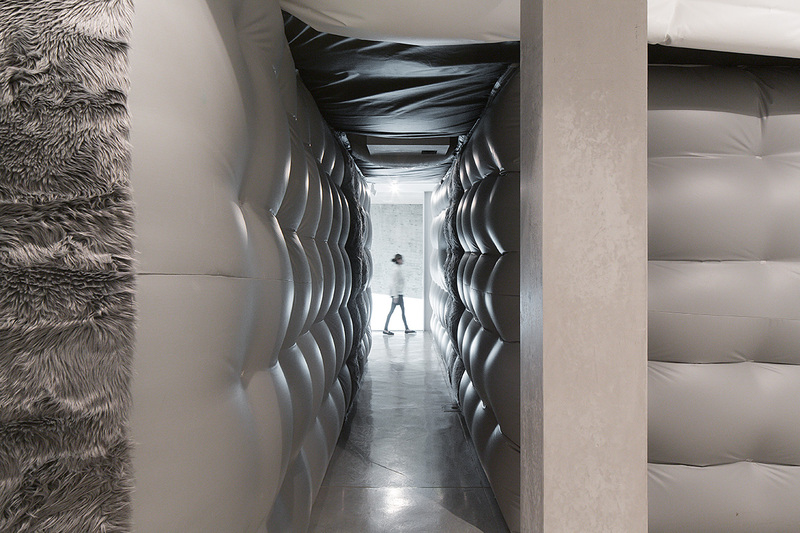 https://vimeo.com/66875297 Now a spatial practitioner and the Associate Editor of Digital Projects at Columbia University’s Graduate School of Architecture, Planning and Preservation, Seegers hopes to teach how the temporal qualities of inflatable volumes can be utilized. He noted that people rarely experience inflatable pneumatic volumes, let-alone get the chance to create them. Seegers also spoke how inflatable spaces can come across as living, breathing organisms, much like how German firm Plastique-Fantastique have been showcasing. "[The spaces] really lower people's inhibitions," he said. "It's a nice etherial space to hang out in and dance in." Ultimately, they're are "meant to be fun" Seegers said laughing, adding that "they're really fun to throw parties in." His course consists of five sessions which run from 7:00 p.m. to 9:00 p.m.. The course is offered in preparation for an exhibit including a large-scale inflatable that will open at Pioneer Works (who are hosting the course) in September. Further details of the course can be found here.